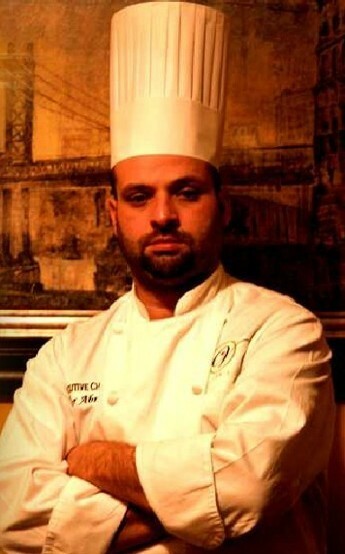 Chef Vitor Abreu started out with a coffee shop, but changed the name from Coffee Cap Cafe™ to Vitor's™ in the Summer of 2006. Our previous restaurant, Mokka™, was located in Newport, Kentucky, and Chef Vitor has worked at the world-renowned 5-star Nana Grill™ in Dallas, as well as Jeff Ruby's Steakhouse™ in Cincinnati. In 2005, we were voted best of the city for French toast in the December issue of Cincinnati Magazine, and rated best for breakfast in the City Beat Coffee Cap. You can also find an article featuring us in the Cincinnati Weekly's dining out guide for November of 2005, while we were still Coffee Cap Cafe. Coffee Cap was also voted best in brunch by AOL City. In May 2009, we won the "Best of Taste" for our Unforgettable French Toast and the "Award of Excellence" for our Walnut/Coconut Encrusted Shrimp with a Peach/Mango Spiced Reduction in the Taste of Cincinnati food competition.